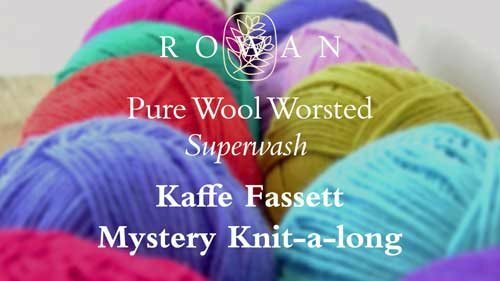 Rowan Yarns is celebrating the month of October with the start of a new knit-along—the Kaffe Fassett Pure Wool Worsted Mystery Knit-along. Beginning with the first clue, which came out on October first, clues will be released on KnitRowan.com approximately every ten days until the end of the year. Want the yarn to knit the third clue in the knit-along? You can win it! Enter here for a chance to win a kit for the Square Cushion in Red Colorway for the Rowan Kaffe Fassett Pure Wool Worsted Mystery KAL! You'll get 10 colors! Two winners will each receive a kit for the 22" x 22" cushion in the Red Colorway for the Rowan Kaffe Fassett Pure Wool Worsted Mystery Knit-along. 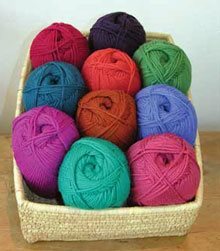 Ten colors in all, this lovely 100% machine-washable wool yarn is spun in Romania for Rowan Yarns. 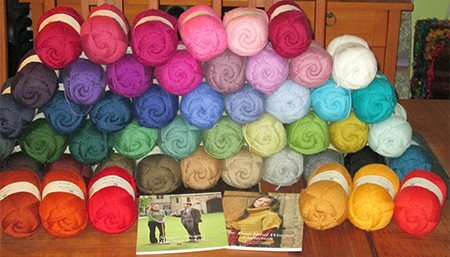 For more information on the KAL, watch Kaffe's introductory video, like the Rowan Yarns Facebook page for updates, or visit the Rowan Knit-Along online. Enter by October 21 for your chance to win; our week 3 winner will be announced on October 22.